“Beyond Misinformation” Flying Off the Shelves! 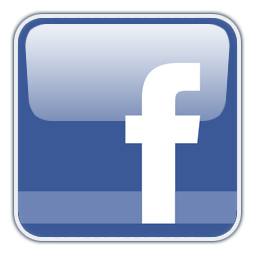 12,000 Copies Funded – 8,000 to Go – Donate and Claim Yours Today! 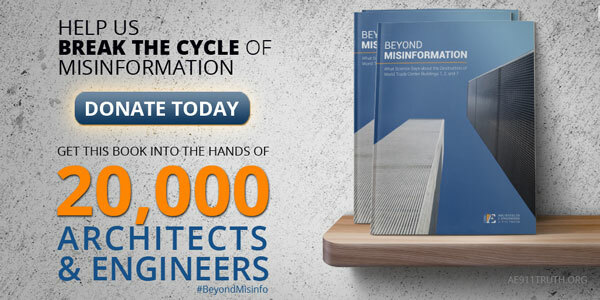 Last week we announced the September 2015 release of Beyond Misinformation — AE911Truth’s forthcoming comprehensive guide to the WTC evidence — and we announced that we would be raising $50,000 between July 1 and July 15 to mail this 50-page booklet to 20,000 architects and engineers. As a token of our gratitude, we will also mail a booklet to all those who donate $30 or more ($35 for non-U.S. residents). We are pleased to report that after seven days we’ve raised almost two-thirds of our $50,000 goal! That’s enough to mail some 12,000 copies to the leaders of NIST, FEMA, the AIA, the ASCE, and thousands of other recipients. 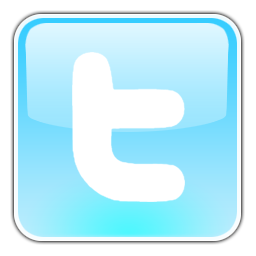 We are tremendously grateful to those who’ve contributed thus far. Now, let’s finish the job. If you would like to support the widespread distribution of AE911Truth’s authoritative guide to the WTC evidence — and receive your own copy to share with friends and family — please chip in today! Beyond Misinformation: What Science Says about the Destruction of World Trade Center Buildings 1, 2, and 7 will be AE911Truth’s first-ever comprehensive guide to the WTC evidence. 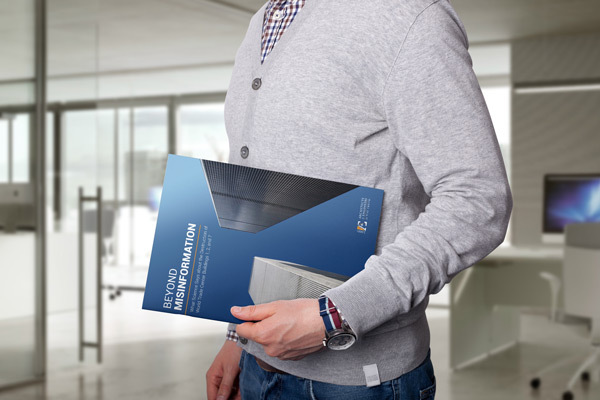 The goal is to bring together the most compelling evidence into one easy-to-read, professionally produced document for laymen and technical professionals alike. We will be mailing it to 20,000 architects and engineers — including all 250 employees, contractors, and contributors who worked on the NIST and FEMA WTC reports; the national and local leadership of several institutions, such as the American Institute of Architects (AIA) and the American Society of Civil Engineers (ASCE); and thousands of A/E professors and industry leaders. We also want you to have your own copy to show everyone you know. 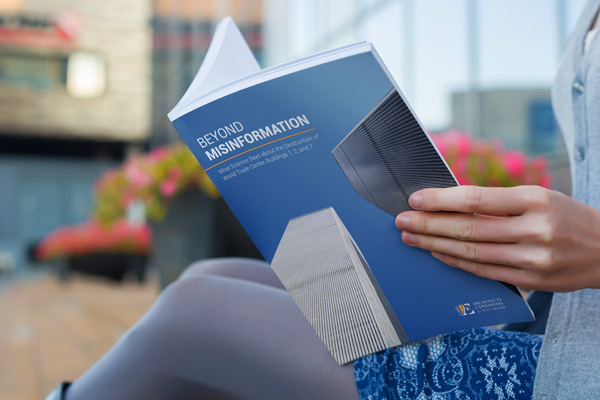 That's why, with a donation of $30 or more between now and July 15 (and $35 for non-U.S. residents to cover extra mailing costs), you will receive your own Beyond Misinformation booklet in the mail this September. We thank you for helping us conduct our most refined and largest-ever outreach to the architecture and engineering community!